Ming-Chi Kuo, who’s arguably among the most prominent, widely cited and historically accurate Apple analysts of the last decade, has officially submitted his letter of resignation to the Taiwanese analytics firm KGI Securities. He served as a leading analyst and prophesied Apple’s future product plans for the last 5+ years, according to a report published by the China Times. Kuo, who’s considered by many as one of the most prolific Apple analysts since The Wall Street Journal star and Steve Jobs’ confidant, Walt Mossberg, has been the source of a multitude of accurate Apple product rumors over the years. Kuo most recently predicted that Apple will launch three new iPhone models in the fall of 2018 boasting Face ID technology and iPhone X-style designs. 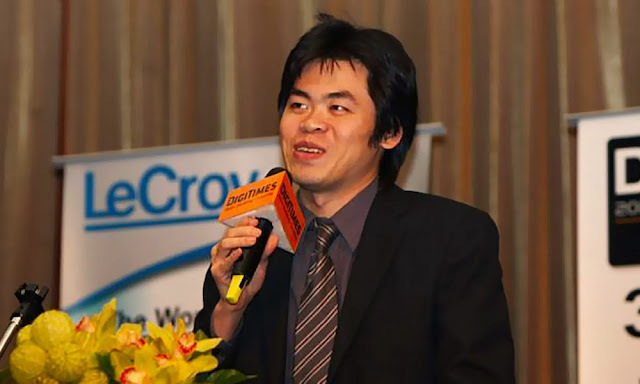 Since as far back as 2010 when he served as a senior analyst with industry research publication, DigiTimes, and prior to that, a brief stint with Concord Securities in 2011, Kuo has single-handedly published hundreds of research notes outlining Apple product plans based on information obtained exclusively from the iPhone-maker’s supply chain partners in Taiwan, China, and other Far East countries. Using this aggregated information, Kuo penned a myriad of research notes over the years outlining details as they relate to Apple’s product plans — and while he wasn’t 100 percent accurate, 100 percent of the time, the star analyst gained a massive notoriety for being among the most accurate sources of Apple product information on the circuit. As far back as March 2016, Kuo accurately predicted that Apple had plans of developing a 5.8-inch iPhone model featuring an OLED display, glass back and metal fame. And, nearly two years later, Cupertino delivered exactly that with its high-end iPhone X flagship. Kuo is also the source of other spot-on predictions as they relate to Apple products including the iPhone 7 and 7 Plus’ all-new Jet Black color option, IP67-grade water and dust-proofing, and inherent lack of a 3.5mm audio jack. Additionally, Kuo accurately forecasted other key Apple products including the 10.5- and 12.9-inch iPad Pros, iPhone SE, Apple Watch Series 2 with GPS, Apple Pencil, the original MacBook Pro with Retina Display, 2016’s MacBook Pro with OLED Touch Bar, and the 12-inch MacBook, among others. While the China Times asserts in its report that Kuo may be officially exiting (or significantly diminishing his coverage of) Apple news, specifically, it’s worth noting that the analyst himself has yet to publicly comment on the report.